Extending the coverage of what, for me, will now surely be one of the more unexpectedly unforgettable films of 2011, I've written up an "In Defense of 'Green Lantern'" piece for Slant Magazine's The House Next Door, opting for the title, "Down with the Sickness." The article was published on July 4, birthday of our superhero-loving nation. This was a very fun essay to tackle, revealing that it's not always terribly easy to stick up for something that, more than anything, appeals to your giddy -- if a bit guilty -- love for whirling, sharply cut fantasy adventures. 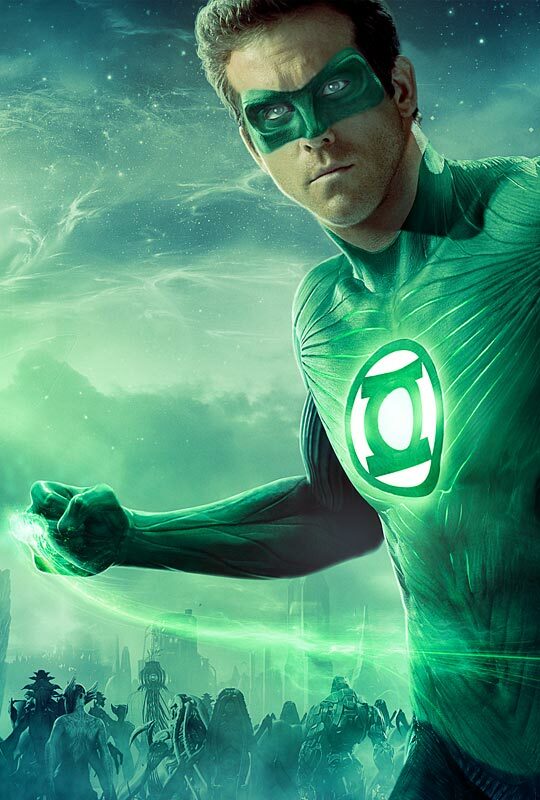 I'd happily purchase "Green Lantern" to revisit its sensations, blithely whizzing past that which got under so much critical skin. Read more in the essay! CLICK HERE.